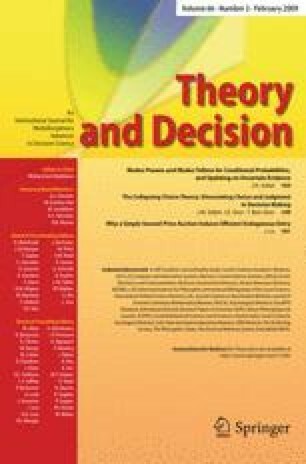 Decision making theory in general, and mental models in particular, associate judgment and choice. Decision choice follows probability estimates and errors in choice derive mainly from errors in judgment. In the studies reported here we use the Monty Hall dilemma to illustrate that judgment and choice do not always go together, and that such a dissociation can lead to better decision-making. Specifically, we demonstrate that in certain decision problems, exceeding working memory limitations can actually improve decision choice. We show across four experiments that increasing the number of choice alternatives forces people to collapse choices together, resulting in better decision-making. While choice performance improves, probability judgments do not change, thus demonstrating an important dissociation between choice and probability judgments. We propose the Collapsing Choice Theory (CCT) which explains how working memory capacity, probability estimation, choice alternatives, judgment, and regret all interact and effect decision quality. Johnson-Laird, P.N. and Byrne, R. (2000) Published online, May 2000, Mental Models, http://www.tcd.ie/Psychology/Ruth_Byrne/mental_models/theory.html.